a wedding filled with joy and love and laughter! Something to celebrate! Two kingdoms joined as one! 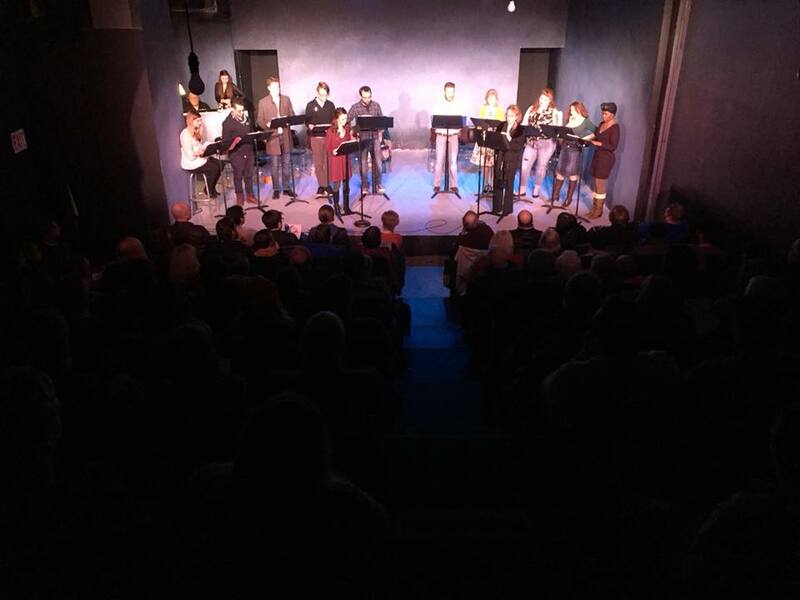 It's been so many years since we've had a queen..."
This Monday, SPELLBOUND received its first ever staged reading at The Living Room Theater. We performed to a SOLD OUT HOUSE! 80+ people were in attendance! Spellbound is the story of Princess Emalia of Highguard, a timid young woman cursed to transfigure any man she comes into physical contact with. Ten years after the death of her mother, the beloved Queen Beatrice, Highguard's golden boy, Prince Dashing is set to marry the mighty Warrior Princess Kalianna of Seaborn. Their marriage will signify the merger of two great kingdoms; Kalianna's people are refugees of a highly advanced civilization in need of a home, and the citizens of Highguard are desperate for a new queen to bring them hope, however they are suspicious of the outside world. When Prince Dashing mysteriously disappears on the eve of the royal wedding, Kalianna, Emalia and Sir Philip the Philanderer team up to rescue him. Along the way they meet Ameerah, another princess in search of her prince. Together, this motley crew outsmarts a powerful warlock to rescue Dashing. What they don't know: Dashing is working with the warlock to escape his loveless marriage. Back the palace, Dashing claims HE was the one to save everyone else and scorns Kalianna for her strength. Dejected, but determined to honor her duty to her people, Kalianna goes through with the marriage only to fall under an enchanted slumber (by Dashing's design). With Kalianna down for the count, only Emalia and her friends can wake the sleeping princess and stop Seaborn and Highguard from turning on one another. In the musical's climax, Emalia awakens Kai with the one cure to an enchanted slumber: true love's kiss. 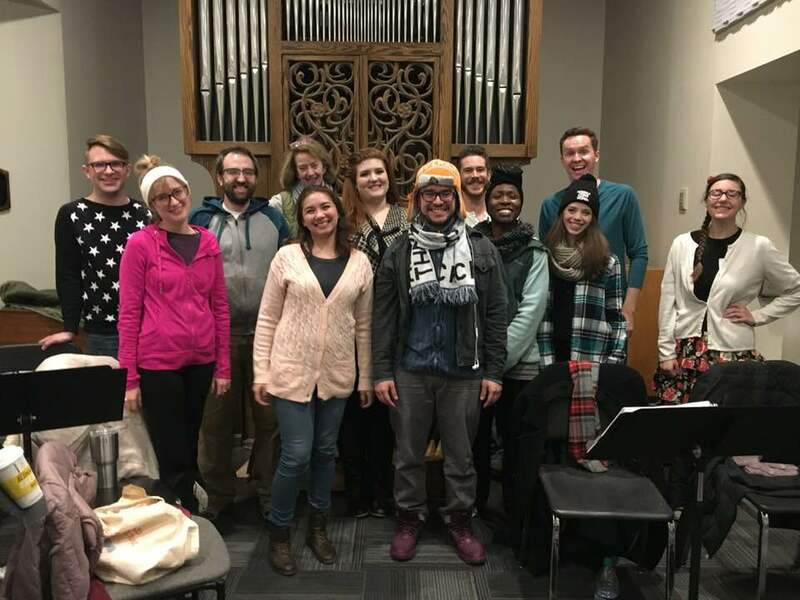 Our cast included Michael Golliher, Christiana Coffey, Joshua Gleeson, Rebecca Munoz, Margaret Shelby, Ryan Tucker, Pancho Javier, Kyle Dyck, Chioma Anyanwu, Mike Ott and Jamie DeAnn Turner. Special thanks to Terry Foster for accompaniment. I am so proud of our team. 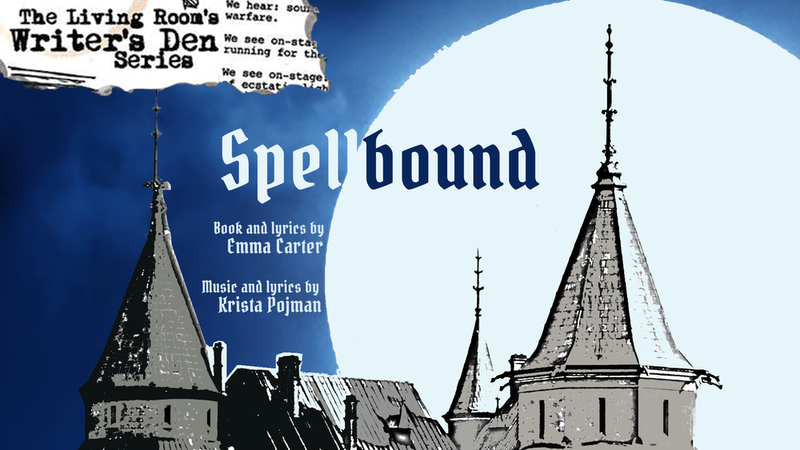 Krista and I spent over a year working on Spellbound, and although it is still a WIP, it certainly has a strong foundation. Our performers learned the entire show in about four rehearsals and their performance surpassed my expectations. Being on stage and reading stage directions for them was pure delight. I am very, very grateful to everyone involved. From here we'll make some edits (a lot of cutting down), and cross our fingers for some upcoming opportunities!